Gutters, soffits and fascias need a lot more attention than you’d think. You should consider cleaning them and treating them to a little attention at least twice a year. The best way to do this quickly and safely is to hire a scaffold tower. 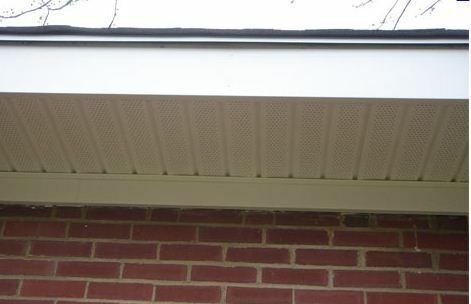 Not Sure What Soffits and Fascias Are? OK, when you peek upwards out of your window and you’ll see a box that goes around the bottom of your roof. The guttering is fixed to it. The soffit is what the underside of the box is called; the fascias are the sides, and is the bit that actually holds your guttering. Your probably already know that the guttering is what stops the rainwater cascading off the roof, instead very sedately directs to the drains in the ground. All of this makes sure your home dry and leak-free. Traditionally, homeowners would attack their biannual cleaning of the gutters while wobbling about on a ladder. In 2005 the Working At Height Regulations drew our attention to the dangers of working from ladders – with several deaths reported from fairly low-level falls. Since then, hiring a scaffold tower is de rigueur – taking an otherwise arduous task and making it significantly easier. For 2-storey house, you ought to hire a 5.2-metre scaffold tower. The colour-coded braces click in easily, and the wheels, stabilisers and toe-boards all fit very easily together. Before the hour is up you can be sorting out your soffits and fiddling with fascias. Keeping your home dry and energy efficient is high on many homeowners’ agendas. Removing muck and toot from your gutters twice a year from a hired scaffold tower will give your roof a fighting chance at staying fit and healthy, as well as warm. 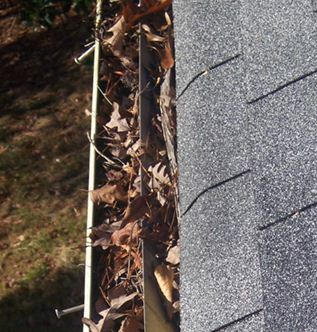 When you rake the leaves and so forth from the gutters, do it away from your downpipe, because pushing rubbish down your downpipe will result in many problems than it will fix. There is even a rake designed expressly for your type of guttering perfectly – ask at your DIY shop to find out more. Instead of throwing rubbish to the ground the hired scaffold tower provides enough room for you to have a garden rubbish bag or bin to hand, which makes the job much tidier, if not cleaner. The elements battering away at your guttering over the course of a year will possibly move guttering out of place; strong sun can fracture or split parts of old gutters. Mend the cuts and dents, and push gutters or downpipes that have slipped back into place. When you have a lot of superficial tasks and little fixes to make, you could well consider removing all the old guttering and replace it with new stuff. From your hired scaffold tower on hire you could also just swap the soffits and fascias too: the little champions of the guttering world. Fascias hold the guttering fast, so the rainwater drains away from the roof as it should. The soffits project out from the walls, modern soffits need to have ventilation holes to meet industry standards, so the roof is kept free of condensation, which, as a result, means the roof timbers steer clear of damp and damage. When water gets into the timber fascias, the wood will rot. As you can’t see the fascias clearly from the ground, you’ll not know if your fascias are rotting until you get up close and personal from a scaffold tower. Even when people paint their house, they often neglect to look above the scaffold, focussing instead on the wall itelf. Fascias rot easily if they’re made of wood. The worst thing you can do is whack a plastic cap on to cover any bare or crumbling fascia; although it would no doubt look better in the short-term, you’d be giving yourself a much bigger headache in a few months’ time. Aging wooden fascias and soffits, as well as guttering made of anything but plastic should really be upgraded. When you consider the price of hiring a scaffold tower, you’ll realise that doing th job properly really isn’t going to cost you the earth, and it could save you a lot of money in the long run. Many people use white, black or brown UPVC to inject a bit of life back into their guttering just because it’s low maintenance and fairly inexpensive. To clean it just needs a wipe down with a cloth and some UPVC cleaner. While a professional carpenter can also fashion you some lovely looking fascias and soffits – at a price – keeping the wooden boxes looking good as well as water resistant requires quite a bit of yearly work – including painting, so it doesn’t rot. Many homeowners try to cosmetically hide crumbling soffits, fascias and gutters, but industry professionals know the only real option is really to replace them completely, regardless of if you opt for wood or UPVC.